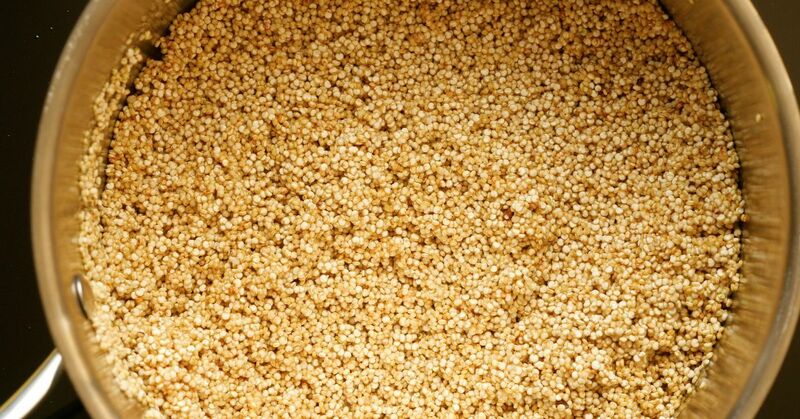 Quinoa is the current darling of the grain world — it’s loaded with healthy nutrients, including protein and fiber, and it makes a great substitute for empty-calorie foods like white rice. The downside is that it can be a bit bland, but with the recipe below, you don’t have to worry about that problem. It’s full of sweet and savory flavors and goes well with grilled foods as well as Chinese stir-fry or Thai curry. The combination of coconut milk and pineapple is so heavenly and tropical that eating it makes me feel like I’m on a luxurious vacation. I love that this dish is easy to make, tastes amazing, and is also very nutritious. And, of course, my kids love it too. Heat the coconut oil in a skillet over medium-high heat. Add the garlic and cook it, stirring for about 30 seconds. Add the quinoa, and stir to coat it with the oil. Cook for about 2 minutes, until the grains begin to smell toasty. Stir in the paprika, cumin, and salt. Add the coconut milk, water, pineapple, scallion, and zest. Bring to a boil. Stir for 3 minutes on high heat. Reduce the heat to low, cover, and cook for 20 minutes. Just before serving, stir in the lime juice. 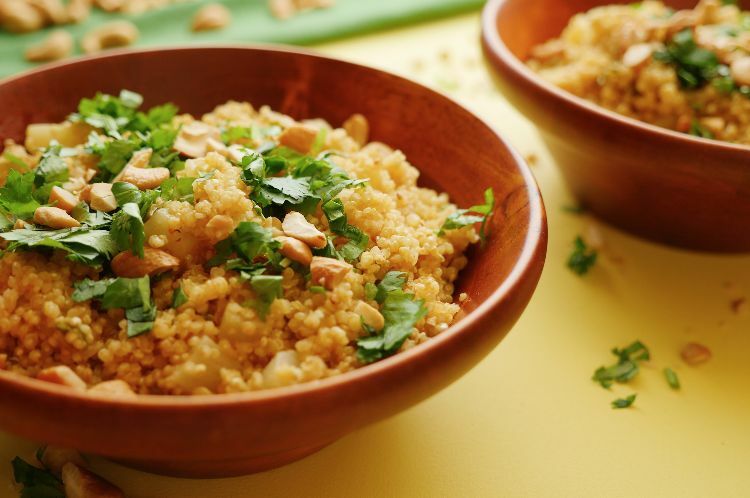 Serve garnished with the cilantro and cashews.